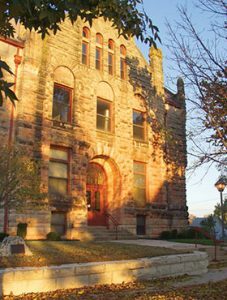 Our story began in 1968, just years after Cowley College came out from under the oversight of the local school district. It stood anew, one might even say reborn, and with the change came a renewed sense of direction. To accompany this new direction and vitality, college leaders felt there was a need to create an endowment association to provide support to the college. Thus, the Cowley County Community College Endowment Association was born. In its early years, the Endowment Association focused largely on real estate transactions and worked as a pass through for land and property deals for the college. While there were several scholarships that were established during the 1970’s and 1980’s, the majority of the scholarships currently distributed by the Endowment Association weren’t established until the 1990’s and 2000’s. From the early 1990’s through 2015, the Cowley College Endowment Association’s efforts have been focused primarily on the growth of new and existing scholarships, planned giving and annual giving. All of these have been directed toward the four core areas of the foundation’s work; development of the arts, academic programs, the scholarship program and facilities. While these remain the core focus of the foundation, 2015 marked the addition of a fifth focus when efforts were made to bring the Tiger Booster Club, the college’s athletic fundraising body, into a subsidiary role within the foundation. Another significant shift occurred in 2015 with the official name of the Endowment Association changing to the Cowley College Foundation. As part of a broader strategic plan that had begun over the course of the prior four years, the changing of the name provided further legitimacy to the foundation, while at the same time updating the name of the organization to something modern and recognizable.